In our article: Agile Impact: The Evolving Role of the BA, we stated that the core function of a BA is to help an organisation achieve its business goals through the analysis of its overall needs and then aligning projects to such needs. One very important way of achieving this is by having a rounded view of the business. As an Agile BA, this will help inform you of how projects are identified, developed and ultimately delivered. It will give you a clearer understanding of how business strategy was formulated and the contributing external and internal influences which affect it. By seeing and understanding the ‘big picture’, you can prioritise and reprioritise requirements appropriately whilst maintaining focus on delivering the greatest business value. The POPIT model is a very effective method of gaining a rounded view of a business. Process: Performance through well-defined, well-understood, well-understood processes. 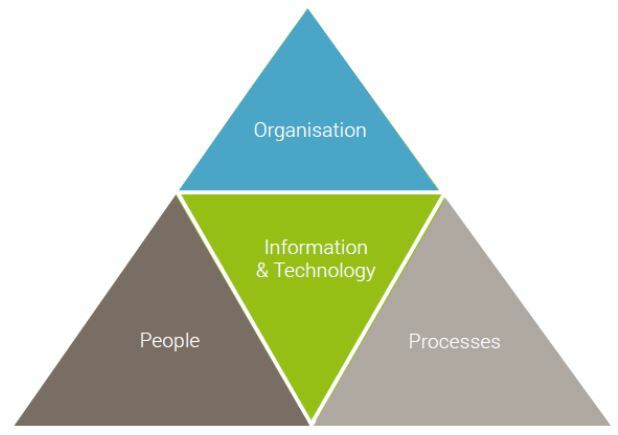 IT: Infrastructure to support and improve business processes across the organisation.